⚠ California Proposition 65 WARNING: This product can expose you to chemicals including lead, which are known to the State of California to cause cancer and birth defects or other reproductive harm. For more information go to www.P65Warnings.ca.gov. 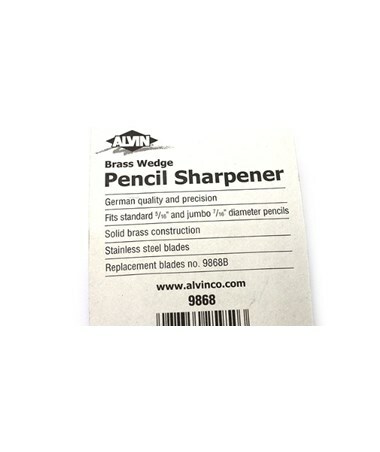 The Alvin Brass Wedge Sharpener (Pack of 12) is a double-hole sharpener that accommodates both standard and jumbo pencils with 7/16-inch and 5/16-inch diameter. 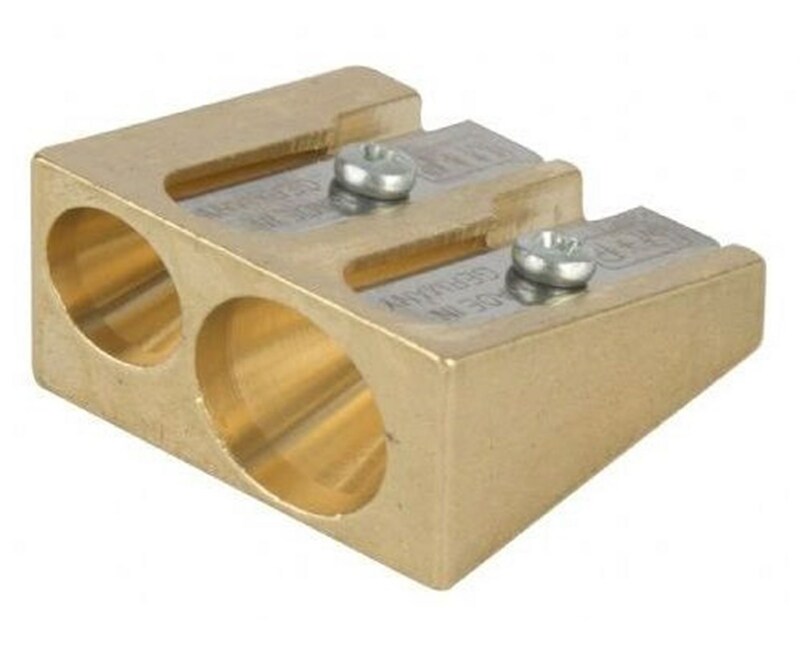 Ideal for students, artists, draftsmen, and other professionals, its wedge-shaped construction allows easy and comfortable grip. 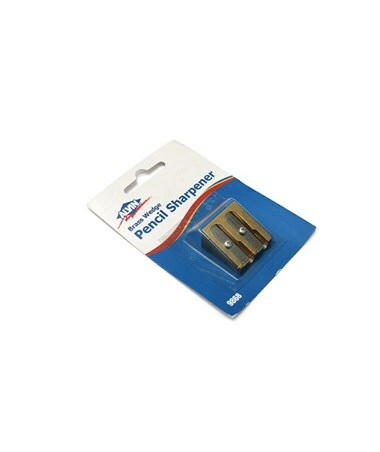 Each package includes 12 blister-carded, double-hole sharpeners. 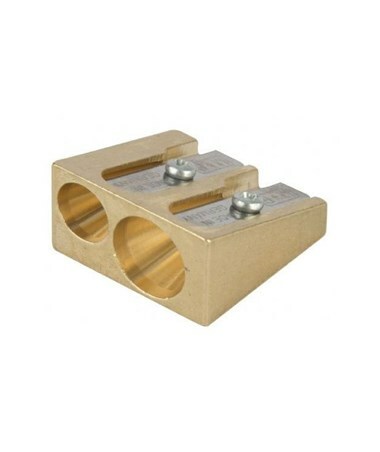 Constructed of solid brass, the Alvin Brass Wedge Sharpener (Pack of 12) provides superior durability and ensures many years of excellent service. 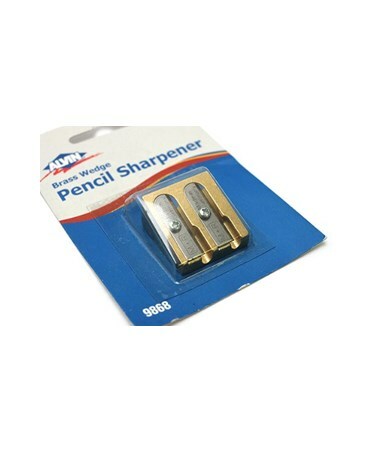 It is equipped with two stainless steel blades that are screw-mounted to prevent wobbling and loosening while sharpening. 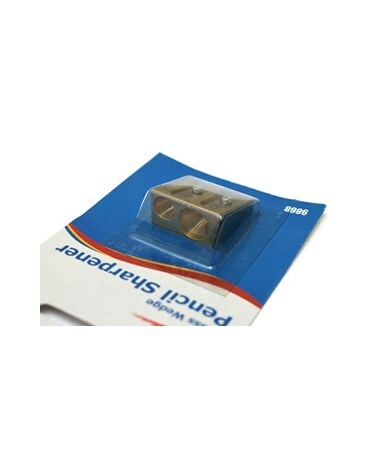 These blades are replaceable and replacement blades are easily available and are sold separately.